Former chef at Royal Castle, Anthony Gibson was Wednesday jailed for three years after he admitted to being in possession of 548 grams of cocaine for the purpose of trafficking. Apart from being jailed, he was also fined GYD $1.4 million by Chief Magistrate, Ann Mc Lennan. 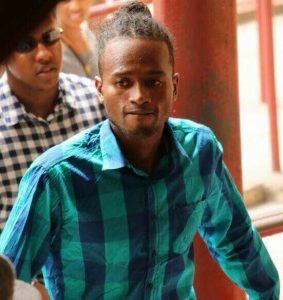 The 26-year old East Ruimveldt resident on April 23, 2017 was an outgoing passenger at the Cheddi Jagan International Airport to The Bahamas on Caribbean Airlines flight when he was stopped after he was seen acting in a suspicious manner. The court was told by Prosecutor Alwyn Moore that upon being questioned, Gibson told anti-narcotics police that that he had swallowed a quantity of cocaine pellets. As such, he was taken to the Georgetown Public Hospital Corporation where he excreted 52 pellets each filled with suspected cocaine.